Low self-esteem is not represented as its own diagnosis in the APA’s Diagnostic and Statistical Manual (DSM-V). Yet its symptoms and effects are very real. People who wish to improve their self-esteem can get help from a therapist. 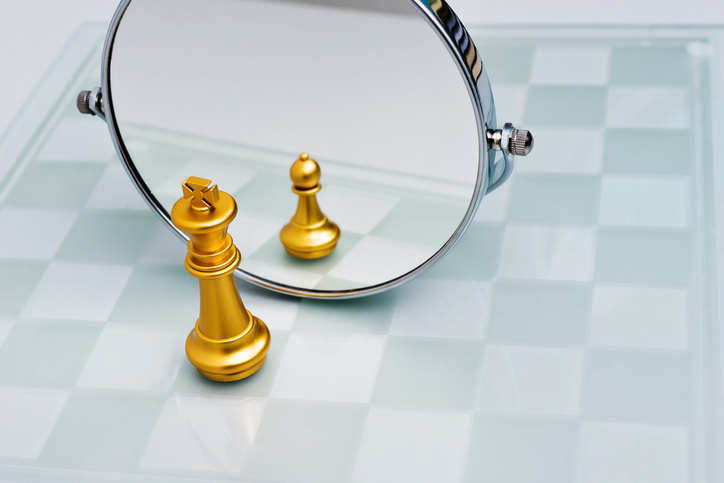 Self-esteem draws on beliefs about oneself. Thus, people with low self-esteem is likely to have a low opinion of themselves. They may compare themselves to others, then judge themselves inferior. Imposter Syndrome: A person uses accomplishments or false confidence to mask their insecurities. They fear failure will reveal their true, flawed self. The person may use perfectionism or procrastination to deal with this anxiety. Rebellion: A person pretends they don't care what others think of them. Their feelings of inferiority may manifest as anger or blame. They may act out by defying authority or breaking laws. Victimhood: A person believes they are helpless in the face of challenges. They may use self-pity to avoid changing their situation. They often rely on others to save or guide them. There’s nothing I truly like about myself. I’ll never do well enough at school or work to succeed. I’m not worthy of seeking things that interest me. Other people are more deserving of happiness. No one wants to hear about my life or the issues I’m facing. It’s all my fault I can’t seem to find people who are good to me. Good people wouldn’t want to be with me, anyway. Over time, negative thoughts can become so frequent the person sees them as fact. When left on a loop, this thought process can be very damaging. The cycle of self-criticism can sap away a person’s joy in life. They may stop doing hobbies they once enjoyed for fear of judgment. Feelings of anger, guilt, or sadness may keep them from enjoying what activities they do try. Some people may do self-destructive behaviors such as abusing substances or neglecting hygiene. Self-doubt can interfere with productivity at work or school. A person may worry so much about others’ opinions that they don’t focus on the task at hand. They may avoid taking risks or making goals out of a certainty they will fail. A person with low self-esteem may lack resilience in the face of a challenge. Self-esteem issues can also impact one’s social life. Someone with low self-esteem may believe they are unworthy of love. They may try to “earn” the love of others and accept negative treatment. Others may bully and criticize others to compensate for their own insecurities. A fear of rejection can prevent people from seeking relationships at all. Social isolation can further feed into a negative self-image. Some people develop low self-esteem in childhood. When adults harshly criticize children for mistakes, kids may internalize those messages. Adverse childhood experiences, such as child abuse or bullying, can also contribute to low self-esteem. In adulthood, any demoralizing life experience can reduce self-esteem. Loss of employment, breakups, and other life changes can cause fear or self-doubt. These feelings can affect one’s self-worth, confidence, and resilience. Once these factors are compromised, a person may be more prone to developing negative beliefs and self-talk patterns. Marginalized people are those who may be at higher risk of experiencing prejudice and discrimination. This maltreatment could be based on one’s religion, health, looks, or many other traits. Marginalization can cause people to have a higher risk of self-esteem issues. Age: Research including 48 countries shows self-esteem tends to increase from adolescence to middle age. An American study found self-esteem peaks at around 60 years old. Among seniors over 60, self-esteem declines sharply as people continue aging. Changes in financial status and physical health may account for the much of this decline. Body type: Children who are overweight or obese frequently experience bullying. These youths are more likely to experience low self-esteem both during childhood and later in life. They may also have fewer friends during childhood. Social isolation can also contribute to low self-esteem. Gender: Across cultures, women tend to report lower self-esteem than men. This trend seems to be most pronounced in Western cultures. Mental health status: A 2012 study examined self-esteem among people with mental health diagnoses. Humor, community involvement, and positive ingroup stereotyping were linked to higher self-esteem. People who kept their conditions secret or put lots of effort into disproving negative stereotypes often had lower self-esteem. Race and ethnicity: A 2011 study of high schoolers looked at self-esteem differences between racial and ethnic groups. In the study, Asian-American students had the lowest levels of self-esteem. Hispanic students had slightly higher rates, followed by white students. Black students had the highest self-esteem levels. These data points match the results of prior studies. Sexual/gender minority status: Students who are lesbian, gay, bisexual, transgender, or queer (LGBTQ+) are more likely to develop low self-esteem than their peers. Bullying is a large contributor to self-esteem issues in LGBTQ+ kids. For transgender individuals, gender dysphoria can strongly affect self-esteem as well. Socioeconomic status: A 2017 study analyzed self-esteem in middle schoolers from low-income families. Students who believed American society was “fair” were more likely to have low self-esteem years later. Most of the students had experienced discrimination and systemic disadvantages over the course of middle school. However, not everyone in a marginalized group will have low self-esteem. Some people may assign less value to domains where they face systemic barriers. For instance, a person from a low-income family may not base their self-worth on owning a fancy car. Instead, they may focus on romantic success or physical fitness. Other people may measure their progress only in comparison to members of their own group. They may attribute setbacks to discrimination rather than individual failures. These strategies may offer a counterweight to the effects of marginalization. Regardless of the factors contributing to one's low self-esteem, support is available. A therapist can help one address the emotions underlying low self-esteem. With time and work, it is possible to develop a healthy relationship with oneself.